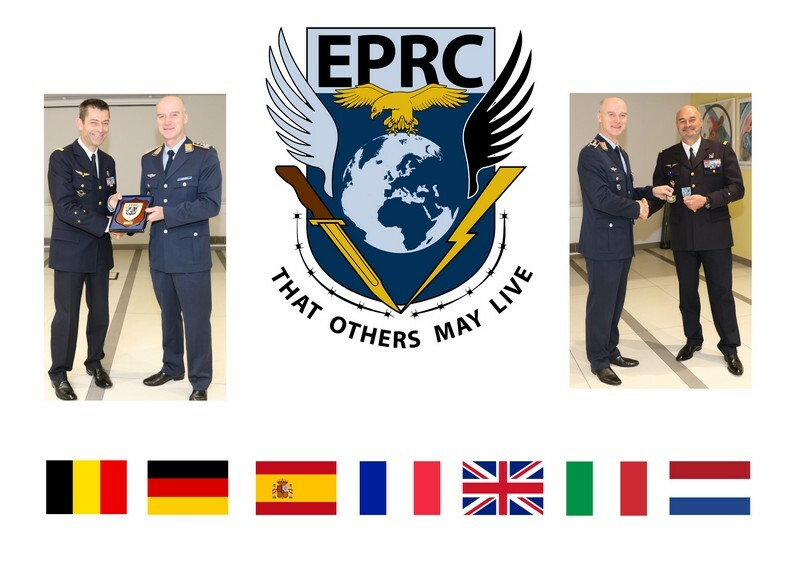 On 14th November 2018, just ahead of the 4th EPRC Working Group at Ferrara, the Director of the EPRC, MG Laurent Marboeuf (FRA AF) passed on the Directorship of the EPRC to BG Philippe Landicheff (FRA AF). MG Laurent Marboeuf became Director of the EPRC in Summer 2017 with the expectation to hand over the directorship to ESP in 2019. However, in Summer 2018 he was appointed Commander, European Air Transport in Eindhoven (NLD) which unfortunately prevented him to complete his full mandate as EPRC Director. 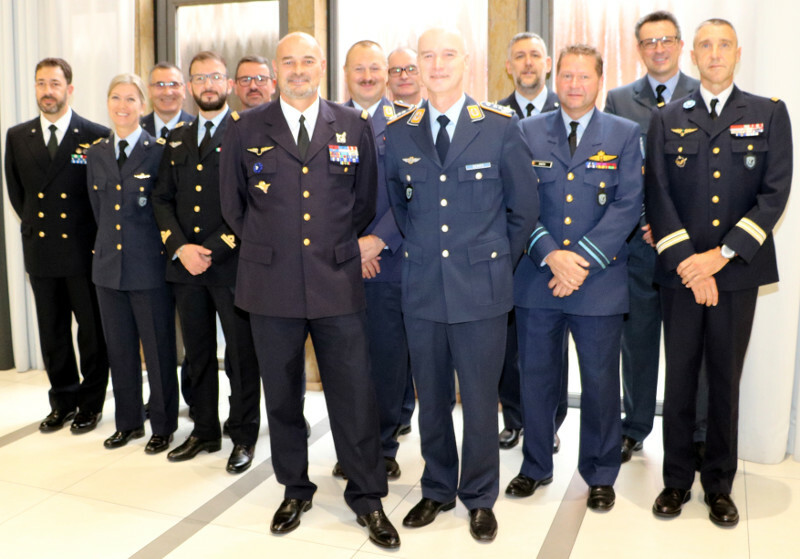 As a consequence, an informal ceremony held at Hotel Carlton at Ferrara was conducted to pass on the directorship from MG Marboeuf to BG Landicheff. All EPRC PS and Command Group were gathered when departing Director MG Marboeuf expressed his admiration and gratitude for the outstanding work and pro-activeness that the EPRC was able to provide. COM EPRC echoed the remarks of the outgoing Director and presented him with an EPRC Crest as a memento of his tenure as the EPRC Director. Thereafter, COM EPRC addressed the newly appointed DEPRC, BG Landicheff, wishing him a fruitful directorship and furthermore, he expressed the hope that the new Director will provide the Centre with the guidance that will allow it to continue to prosper. In reply, BG Landicheff expressed his assessment that Personnel Recovery is an important military capability and that the EPRC is an important tool for the military leadership of the EPRC nations. He announced that the was looking forward being a part of the EPRC team. All EPRC PS wish him all the best in this new endeavor and are looking forward to work with him. 0 responses on "MG Laurent Marboeuf HANDS OVER EPRC DIRECTORSHIP TO FRENCH BG Philippe Landicheff"